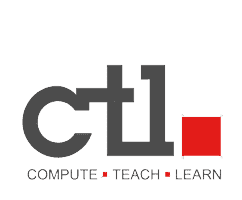 If a repair is needed on a CTL or 2go pc, visit ctl.helpserve.com and select the "Submit a Ticket" option on the Home page. Select the "Product Technical Support" department and click "Next". Fill in the General Information and the User Info fields. In the Message Details section, provide a detailed description of the issue along with the serial number of the unit and your desired return address then select "Submit". Once the ticket is submitted, a technician will review the information provided and will reply in the form of an e-mail. Be prepared to perform basic troubleshooting steps with a technician to determine if the issue can be resolved prior to sending the unit in for repair. Once a technician determines that the unit needs to be sent in, your information will be processed, and you will be issued an RMA number along with detailed shipping instructions. It is imperative to follow the shipping instructions exactly to avoid any delays in the repair process.